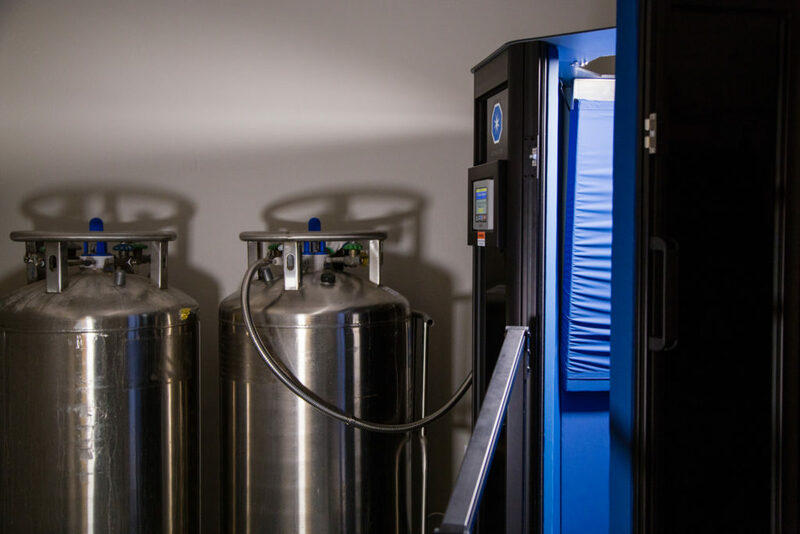 Cryotherapy, one of the oldest natural healing and wellness methods, uses cold temperatures to stimulate your body’s natural responses resulting in the reduction of inflammation and swelling. Cryotherapy could reduce your need for medication to relieve acute and chronic pain. Whole body cryotherapy uses a state of the art machine called the Cryosauna which simulates the same benefits of old with a whole new level of cold in just three minutes. 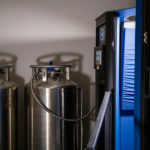 The cryosauna uses cryogenic nitrogen vapor to lower the temperature as much as -120ºC (-184ºF). Your skin reacts to the cold and sends messages to your brain which activates anti-inflammatory molecules and endorphins, increases oxygen in the blood and releases toxins. What Are the Effects of Cryotherapy? During each session, the body releases endorphins, or happy hormones, that make you feel happy and energetic. The effects can last at least 6-8 hours, but the more you practice, the better the results. Cryotherapy increases your metabolic rate, burning 500-800 calories. Using whole body cryotherapy on a regular basis can help reset your body’s metabolism. Although whole body cryotherapy is an advance form of ice therapy, it is not the same as an ice bath. Unlike water, in the cryosauna the skin is never penetrated. The body responds on a deeper level to the cryogenic nitrogen vapor and improves overall skin condition. Whole body cryotherapy is much faster than an ice bath and results in better recovery which then leads to better performance. When Do I Exercise Around Whole Body Cryotherapy? It doesn’t matter whether you exercise before or after whole body cryotherapy. If you exercise before, you’ll experience increased energy and greater recovery because of the reduction of inflammation. If you exercise after, you’ll experience a higher pain tolerance and more energy. Yes, cryotherapy is safe. Nitrogen is a non-toxic natural gas. The nitrogen we use is the same nitrogen in the air we breathe. While you’re in the cryosauna, you breathe room air. Never stay in longer than 3 min. ARC provides dry socks, slippers, gloves and robes. Will I Be Able to Stand the Cold? Whole body cryotherapy is simply very cold air flowing over the surface of your skin, so there is no actual freezing. You’re in the cryosauna no longer than three minutes so by the time you feel like you’re freezing, it will be over. As long as you wear protective gloves, socks and slippers, you will be safe. Once you’re in the cryosauna, a platform raises your head above it and you breath room air. An oxygen monitor positioned where the technician can watch ensures your safety. The door is never locked and a technician is close by at all times. You can request to step out at any time. 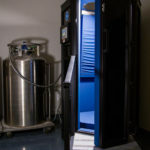 Are There any Risks to Whole Body Cryotherapy? 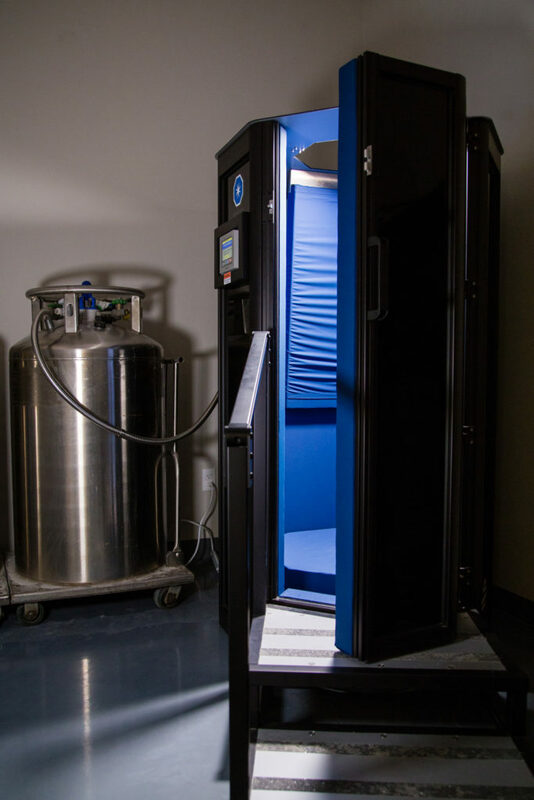 Many of our clients report that they experience a multitude of benefits through cryotherapy and it’s the driving force behind a new lifestyle of wellness. If you are pregnant, have severe hypertension (BP>180/100), acute or recent myocardial infarction, unstable angina pectoris, arrhythmia, symptomatic cardiovascular disease, cardiac pacemaker, peripheral arterial occlusive disease, venous thrombosis, acute or recent cerebrovascular accident, uncontrolled seizures, Raynaud’s Syndrome, fever, tumor disease, symptomatic lung disorders, bleeding disorders, severe anemia, infection, claustrophobia, cold allergy, acute kidney and urinary tract diseases, you should not use cryotherapy. Children under 18 need parental consent.